But it’s been a journey to get here. I grew up in Florida and attended the University of Florida, where after joining the swim team, I secured a scholarship to go and study. I retired from a thirty-three-year career at Procter & Gamble in 1994, so weak from years of inactivity that I knew I had to make a change. I had raced bicycles as a teenager (three-times Florida State Champion) so I took it up again as a way to get back in shape. Around the same time, I also discovered that I could still swim. I felt at home in the pool. 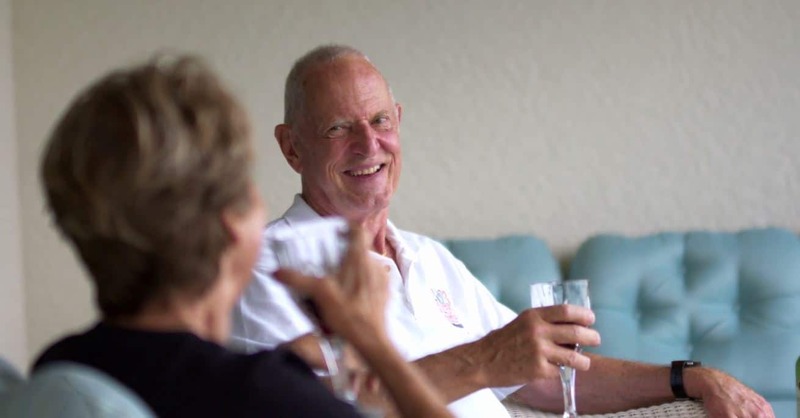 Five years after I retired, I became aware of my essential tremor. What started as a slight shake progressed, and eventually I had trouble writing my name and signing checks. Something had to be done, so I went looking for answers. I went to see a neurologist who advised I take what he called “the booze test.” I happily complied by sitting at home and drawing spirals and concentric circles, then fixing myself a stiff drink and repeating the exercise. To my amazement, the shapes were smooth, and my tremors abated after the drink. He told me that the test eliminated Parkinson’s disease and some other nasty diseases, so we moved on to discuss treatment options for my essential tremor. As soon as I heard the words ‘drill a hole in my skull’, I said ‘no-thanks’ as I wasn’t thrilled with the idea of deep brain stimulation. After moving back to Florida in 2003, (you could say I’ve always had the sand in my shoes), I began ramping up my swimming. About four years ago, I began having trouble getting onto the pool starting blocks and into the starting position. I had been taking a medication called Primidone, which helped somewhat. My physician was aware that I was in training for competitive swimming, and he didn’t want to prescribe anything too strong. Over the years I lived with the tremors and adapted to them. In 2015, a reaction with another drug I needed meant I could no longer take the Primidone. Without it, my shakes got worse. Soon I was ready for anything – except a hole in my head. Fortunately, fate (or perhaps luck) intervened. In 2014, a friend sent me an article about a new technology from INSIGHTEC to treat tremors that was being trialed in Israel. It made for very interesting reading. I was excited by the possibilities, and in 2016, looked into the incisionless Neuravive treatment in the US. Earlier this year, I learned that Dr. Travis Tierney, a neurosurgeon at the Sperling Medical Group in Delray Beach, was only two hours away. It didn’t take long for Dr. Tierney to declare me a candidate for the treatment. Minutes after my treatment this past summer, I was able to write clearly and smoothly. So here I am, back in the saddle again. I can now get a spoon of soup into my mouth without spilling. I’m in the pool training full-bore. 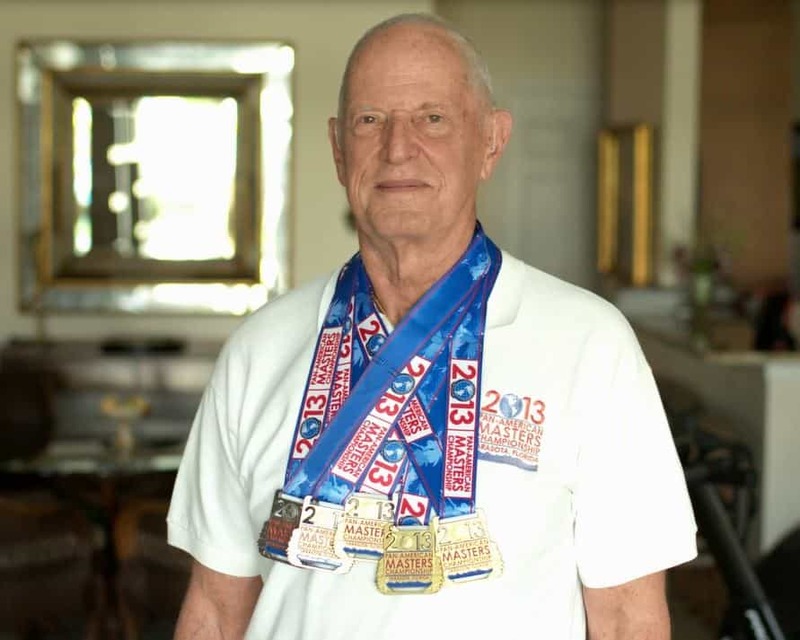 My goal for next year is to set new world records in the 80-84 age group. I’m targeting nine records in the breaststroke on a range of courses. My records in the 70-74 age category have been broken, so now I want to set new ones; though I’m hardly competitive, wink, wink. See Karl’s video testimonial here.